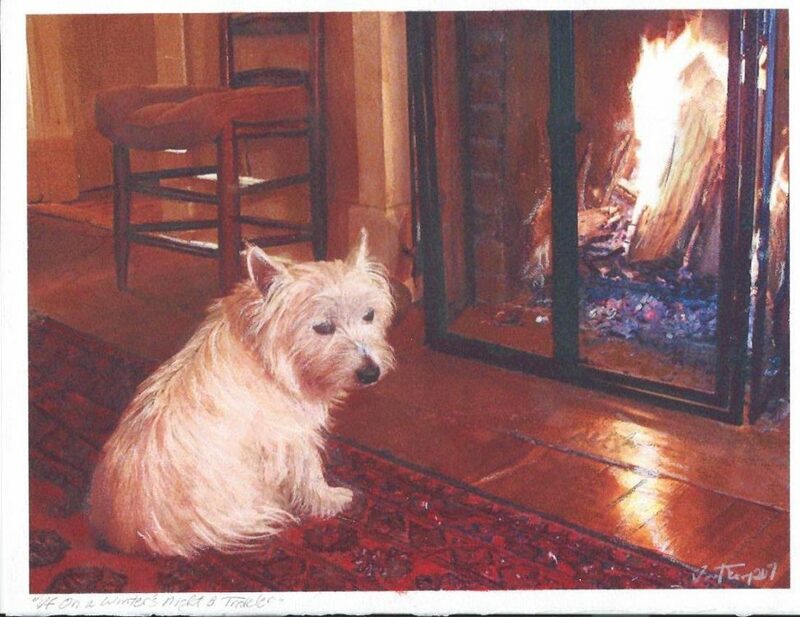 And, yes….it’s of my sweet old Dougan…….twelve now, and I’ve never heard him growl in his entire life. He’s Kate’s brother, not entirely by the way. I’ve painted him multiple times, since he’s the only dog in the house that actually meets “show” standards (not that many of us here care much about the matter).